We’re all born with a depraved heart, which can deteriorate towards evil...if not for the restraining grace of God. One day God will judge all people for the injustices committed. But for now, God is patience with us and so the injustice on earth continues. Even though His judgment is delayed, it’s more certain than tomorrow’s sunrise. Certain anchors are dropped during childhood and if they’re not dealt with, they remain dropped, clinging to the bottom. And as the boat goes on in life, and as we get older, the anchor is dragging all along in whatever area is dropped and not dealt with. God doesn’t expect us to live perfect lives, but He does expect obedience. This means when wrong comes our way we deal with it. The world says our main goal should be getting what we want. And if we have to sin in order to do so, that’s OK. But the reality is getting what you want can leave a wake of victims. Sin always has consequences. 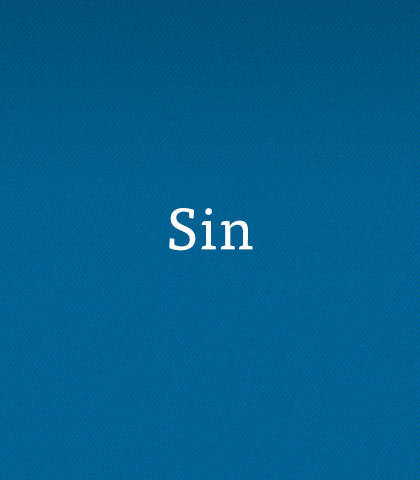 Even though we are forgiven by God’s grace, sin has consequences and sometimes they’re devastating. When our actions harm others they can have lifelong ramifications.